Mahatma Gandhi and his philosophy of truth and nonviolence have intrigued the world for decades. 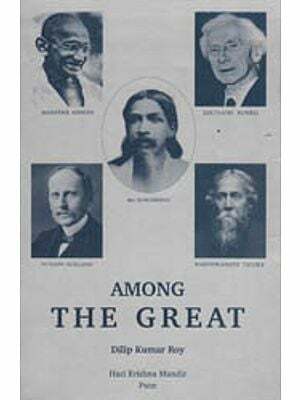 Looking at the Western and Indian influences that had gone into making Gandhi the Mahatma, and the central importance of Gandhi to nonviolent activism, these essays reclaim the power of truth an on violence, which can still change the destinies of people and nations. In this collection Thomas Weber discusses Gandhi, his ideology, and how India and the rest of the world is interpreting and reinterpreting the Mahatma. The doctrine of conflict resolution theory, new environmentalism, peace research, deep ecology, and Buddhist economics based on Gandhian principles, renews the world's belief in Mahatma and his teachings for our life and our times. Thomas Weber teaches politics and peace studies at Melbourne's La Trobe University. He has been researching and writing on Gandhi's life, thought and legacy for over twenty years. His Gandhi-related publications include Conflict Resolution and Gandhian Ethics; Hugging the Tress: The Story of the Chipko Movement; Gandhi's Peace Army; On the Salt March; Nonviolent Intervention Across Borders (Edited with Yeshua Moser-Puangsuwan); and Gandhi as Disciple and Mentor. Before remarking on Thomas Weber's latest book on Gandhi, let me refer to my experience of the frequency with which Gandhi is invoked in the United States, where I have been a visiting professor from the late 1990s, and offer my understanding of why this is the case..
Two African-Americans recall on TV their role in the 1963 sit-in in a restaurant in Birmingham, Alabama, when they stayed at the lunch counter until they received service or the lunch counter closed down. They say that Gandhi's fight in India inspired their successful protest in the American South. Asked (also on TV) to name a favorite hero from the last century, a young man says 'Gandhi'. As I write these words today (10 July 2006), Michael Lerner, a Jewish rabbi actively working for justice in the Middle East, reiterates (in a blog) his view that Palestinians 'would be far more effective if they were to adopt the nonviolent strategies of Gandhi, King, and Mandela'. One reason for remembering Gandhi is the glaring failure of violence to achieve results in places like Palestine, Kashmir, Chechnya and Sri Lanka. Tried year after year, violence has not only failed to obtain the redress asked for; it has obscured rather than highlighted the issues at stake. We are intrigued therefore by Gandhi's nonviolence. Our greater understanding of the dangers from global warming also foregrounds Gandhi, who insisted on clean air and clean water as an Indian village's first need. Most of all, perhaps, people think of Gandhi as someone who showed that the weak can stand up to the strong. A scholar of conflict resolution and a well-known researcher of Gandhi's life, ideas and legacy, Tom Weber has contributed immensely to our understanding of one of Gandhi's greatest initiatives through his outstanding and meticulous book, on the Salt March. No one writing on Gandhi or on the Salt March can afford to give that work a miss. With his legal background Weber hunts for facts when others seem content to record feelings and perceptions. In Gandhi, Gandhism and the Gandhians, he revisits the march; examines Gandhi in the light of modern conflict resolution theory; makes a comparative study of two famous Indians who tried to apply Gandhi's strategies and principles, Vinoba Bhave and Jayaprakash Narayan; critiques the Shanti Sena that Gandhi hoped would intervene courageously and nonviolently in conflicts; looks at Gandhi in the economic and ecological contexts; and analyses why the number of Gandhians in today's India ha dwindled. On the last question, Weber has done more than almost anyone else to learn about and describe individuals in the rank-and-file that enabled Gandhi's movements to succeed. Perhaps rank-and-file is an unjust phrase-many of these individuals were leaders in their own right and contributors to the making of history. But they remained in the shadows. Weber has performed a great service in throwing light on their fascinating lives. But I am not wholly comfortable about the phrase 'Gandhians', and I am sure Weber shares the unease. There are times of course when the phrase is unavoidable, and it also seems reasonable, for how else would you describe individuals trying to apply Gandhi's ideas and methods to their situations? Yet apart from the fact that Gandhi himself was unwilling to sponsor any 'Gandhian' group or following, if these 'ideas and methods' of Gandhi are understood; in their broadest terms, then many have pursued and will pursue these without necessarily using the Gandhi name. As I see it, and perhaps Weber may agree, anyone who honestly and fully follows his mind and conscience does what Gandhi did and what Gandhi would want us to do. Both mind and conscience were of vital importance to Gandhi, who strove to be as innocent as a child but also as astute as the fight against an empire required. But; he completely rejected a worship of the mind that neglected the conscience. Whether religious or non-religious, the conscience steers us towards what is necessary, what is right, what is just; it provides a key corrective to the mind, which can always find reasons for doing what is convenient and what we want. As long as India and the world contain people committed to obey both their minds and consciences, the tribe of 'Gandhians' will endure. It is a tribe that Tom Weber has stimulated and nurtured. I warmly welcome his latest offering. Lotus Roli Books Pvt. Ltd.